OTTAWA — The Liberal chair of the House of Commons justice committee is open to probing whether the Prime Minister's Office tried to influence the former justice minister not to proceed with a prosecution of Quebec corporate giant SNC-Lavalin. The justice committee meets Wednesday at the request of opposition MPs to decide whether to launch such a study. Liberals hold a majority on the committee and will decide whether the study gets the green light or not. 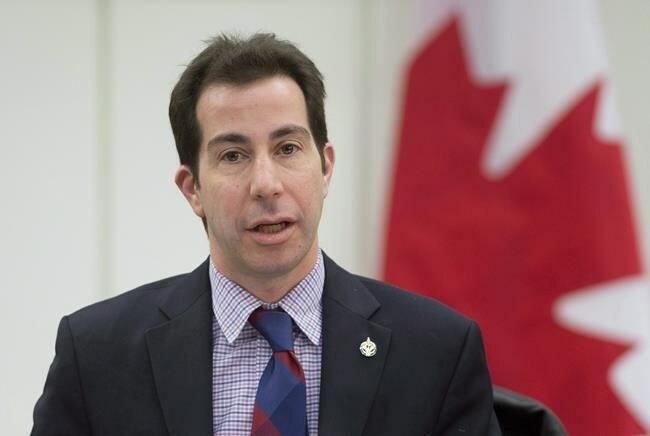 Anthony Housefather, a Montreal Liberal MP who has chaired the committee for the last three years, said if the members can come together in a non-partisan fashion, they could help get to the bottom of the allegations rocking Prime Minister Justin Trudeau's government. "The question is whether a partisan committee is the right place to do that type of review," he said in an interview. "On the other hand, as many people tell me, well, where else will it be done? If our committee is able to work collegially and in a non-partisan way, maybe we can be helpful to this process. That is what I think me and all my colleagues are weighing." He said the meeting will be held fully in public so all Canadians can see exactly how the decision is made. Wilson-Raybould, who was moved from justice to veterans affairs last month, resigned from cabinet completely Tuesday. Last week anonymous sources told the Globe and Mail the Prime Minister's Office pressured her to tell the director of public prosecutions to negotiate a remediation agreement with SNC-Lavalin, rather than proceed to a criminal trial on charges of corruption and bribery in relation to its efforts to win government contracts in Libya. Trudeau has denied any wrongdoing, saying he specifically told Wilson-Raybould it was entirely her decision whether to prosecute SNC-Lavalin. Government insiders have confirmed there were internal discussions about the issue, in which Wilson-Raybould was involved, but say such discussions were appropriate and did not veer into pressure. Housefather said the committee probe, if it happens, would look at whether what happened contravened what is known as the Shawcross Doctrine (after a British attorney general of the 1950s), which says the attorney general must take into account the public interest in a successful or unsuccessful prosecution. She can request or be given information to help inform her of that interest, but at no time can someone tell her what to do or pressure her to go in a certain direction, nor can she ask someone to tell her what to do. Wilson-Raybould has not spoken publicly about the matter yet, and has hired former Supreme Court justice Thomas Cromwell to represent her and help her determine what she is legally able to say. "While I believe the prime minister, I know that there's a lot of Canadians that wouldn't just believe him and are very concerned by the fact former minister Raybould hasn't spoken on the issue," Housefather said. "I agree that there needs to be clarity. There is no question in my mind that we need to know the full story." Conservative MP Michael Cooper, one of the committee's vice-chairs, said the justice committee has proven its ability to move beyond partisan lines, and that every report the committee has produced since 2016 has been unanimous. "This is not a partisan issue," he said. "This is about political interference that goes to the heart of our democracy." NDP MP Nathan Cullen said "a partisan spitting match will do no one any good" and the committee is very well positioned to take this on. "This all adds up to a scenario in which public confidence in government and the judiciary is undermined," he said. "If the justice committee can't study that, well then, what is there?"